At a recent friends gathering, some born-and-bred Londoners were discussing how London had been changing for the better during the last decade or so. The regeneration of certain dodgy areas was the main topic mentioned, and everyone can easily notice a great change when visiting Brixton or, even, Hackney. But, I think London has changed for the better in other aspects too, such as general customer service, which technology is somehow starting to influence now. When I first arrived in London, I was surprised to find that full table service was only available in restaurants. It wasn’t even available in pubs or bars when ordering food. 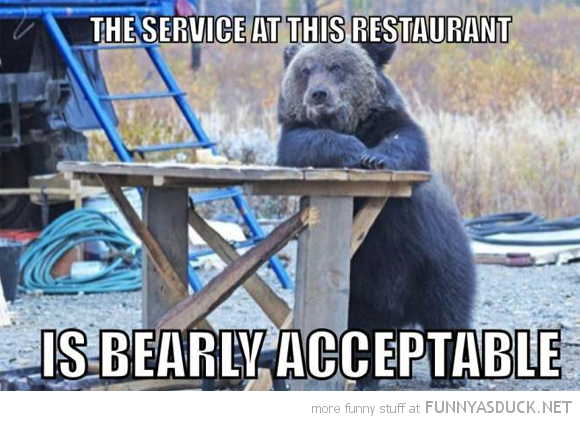 I was so used to having a waiter coming over to the table to take orders, that I was expecting to find it here too. Well, in my country we didn’t usually get full table service at night clubs or late night bars either. Maybe, that’s changed there too. I was also used to getting some help at the supermarket with placing my shopping in carrier bags. It can help with beating the queues, you know? I did know that it usually didn’t happen here before I arrived. What I was not expecting is having shop attendants’ long faces and total lack of engagement with customers in grocery shops or small eateries. Were they uneasy with foreign customers, maybe? Nope. Or maybe a little. But, I later observed that it happend exactly the same with their long-term, British customers. It is part of exploring a new-ish culture for me, things that I wasn’t used to as part of my lifestyle before arriving here and adopting new habits. Keep an eye on the tables around for anyone finishing their drinks or get a stool. After a few years here, I started to notice some changes. Long faces and general bad customer service were disappearing in both big and small shops and eateries. In some pubs in Central London, we could even order from the waiting staff without leaving the table. Wow! That was a big move. Another big move: using technology to beat the queues and get your order quicker. I have two examples of this. One, the interactive menus at restaurants like Inamo, where customers place orders from a menu projected on their tables. How cool is that? Two, a phone app. A waitress came over to our table at a pub to let us know about their service to order and pay via an app called Orderella. Since it has been adopted by trendy bars too, and London is becoming so much more techy than ever (I will talk about talking statues on another post), I think this is a trend to watch out for. Despite all this, I still remember the waitress at a well-known bar and restaurant recently, who chose to be rude. She was only keen to show off her long hair when we asked a question about the drinks, stood within two milimetres of us while talking, and put our order on the table with absolute disdain and carelessness. Not what I had expected. 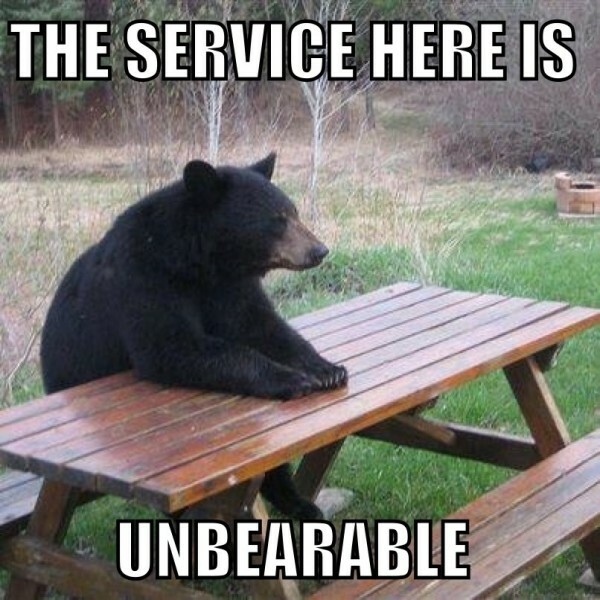 “Service” is a relative term these days. Lots of places I go have no service whatsoever, while others go out of their way to make your visit a delight. You can guess which ones get return customers. Agreed. Many don’t seem to care. They get your orders and place them on the table as carelessly as they can. Shame.